The first challenge that faced the congregation was the purchase of its facility. The people needed ten thousand dollars ($10,000.00) as a down payment to buy the building and within thirty days the required amount was raised. This was made possible by the generous contributions of worthy patrons. The good people endured and persevered and were only satisfied only when the congregations was able to acquire suitable living quarters for the pastor and his family. Quality housing was acquired adjacent to the Church. Faith Tabernacle was a beacon light, and welcome addition to the neighborhood. The community took on another set of values and dignity as the new Church added impetus and a new sense of meaning. At the outset, the Church had 18 auxiliaries (ministries), including four choirs and a Public Relations Committee. The congregation increased from 300 members to over 700 in the first year. In that same year, over 200 of the 700 members were added by water baptism. The amount of money raised for the year was an aggregate of $25,000.00. The founding of this Church was to set up an institution that would be a symbol of the Gospel, in character and practice, the coming of the global Kingdom of justice and peace from God; for the fellowship of the Christian Church universal among all nations and races; and for all men and women of every faith who sincerely desire one human family under the Fatherhood of one God. The Christian Church is called as the example and to lead the way to righteous ends and the fulfillment of the same. If salvation, and Godly religion fails then nothing else is left. Strong churches create and lead to strong communities that are non-racial and non-sectarian, not bound by politics, or socio-economic status and serve as a saving station for whosoever comes to a fullness of the knowledge of Jesus Christ as Lord. Under the pastorate of Reverend Baxter, the church established and organized a self help institution, namely a credit union. In 1956, the Faith Federal Credit Union was organized for Faith Tabernacle members and their families. In May 1962, Faith Tabernacle Baptist Church needed a pastor. A call was extended to Reverend Dr. Rafe M. Taylor. He accepted the call and was installed in October 1962. Under the stern leadership of Dr. Taylor, the Church accepted tithing as a major part of its policy and practice according to the Bible. Dr. Taylor, a man with a vision, played a major role in the effort to provide housing for moderate-income people. In his tenure as Pastor of the Faith Tabernacle and Executive Director of New Hope, Inc., Dr. Taylor devoted significant energies to the building of the Coleman and New Hope Towers. In August 1968, Dr. Rafe Taylor resigned to accept a pastorate at Ebenezer Baptist Church in Boston, Massachusetts. Another prayer was answered when Faith Tabernacle Baptist Church extended the call to Reverend Samuel L. White. He camel to pastor Faith Tabernacle in February 1969. Under the dynamic leadership of Reverend White, the New Hope Corporation sponsored two F.H.A. Housing Projects, namely New Hope Towers with 200 units and Coleman Towers with 87 units. The developments were initiated during the pastorate of Reverend Taylor. Reverend White’s significant contributions to the area of outreach included establishment of the Faith Day Care Association, which benefited the community, and the installation of a church elevator. 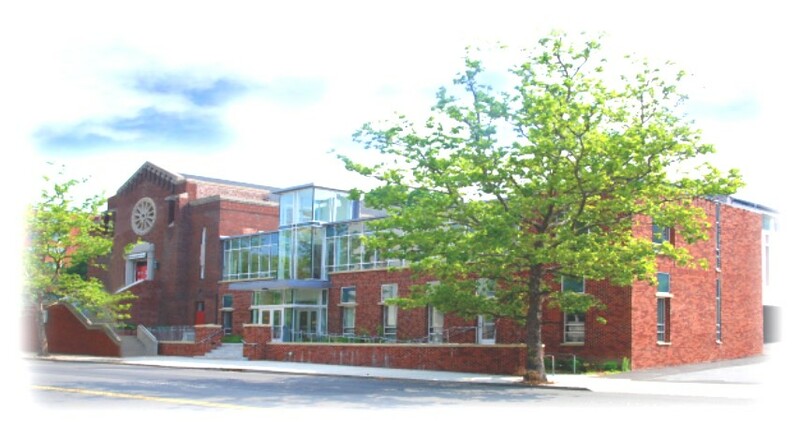 As the Shepherd of Faith Tabernacle Church, and a leader in the community, he continued to oversee the Faith Food Program, the William E. Edwards College Tours and Annie AM. Davis Scholarship Fund. Reverend White retired from the Faith Tabernacle pastorate on December 31, 1996 after 28 years of dedicated service to the Church and community. God has ordained that each local congregation should have an under shepherd. Following the retirement of Reverend White, Faith Tabernacle joined its collective voice in prayer and fasting for the Lord to send His servant who would guide the church into the next millennium. As a result, God brought “the Tabernacle” congregation and Reverend Dr. Tommie Jackson together. He came from the historic Calvary Baptist Church, in June 1997, to Faith Tabernacle as the anointed of God. The calling of Tommie Jackson has ushered a new era into the history and life of the Church. 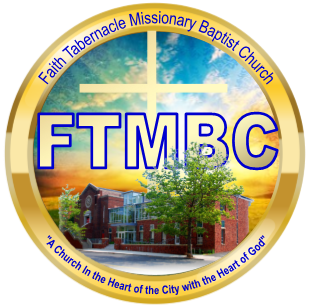 Under the stewardship of Pastor Jackson, Faith Tabernacle has developed a discipleship program for incoming and returning members, placing an emphasis on spiritual development and enrichment through study, prayer and training. The church has a full fledged Youth Ministry including a Summer Youth Travel Camp and Teen Employment and Entrepreneurial Project, a Pioneers Club, a Senior Adult Ministry, Men’s Fellowship, Freedom Now Ministry to overcome addition and an expanded Social Action Ministry providing Energy Assistance and Housing Counseling. Dr. Jackson has devoted his pastorate to the spiritual development, enhancement, enrichment and biblical organization of the Church. He is a pastor-administrator as well as a man of great vision. Dr. Jackson urges the congregation to become the model church in the greater Stamford community. The Church celebrated its first Unity Day in June 1998. A Greeters Ministry was organized within the New Member/Discipleship Ministry. Additionally, the congregation holds a midweek Hour of Power Worship every Wednesday at 12:00 noon. The Church has a Mark of Excellence Pre-School and Academy (MEPSA), and an unique nursing home and care center ministry. A tape media ministry was instituted and in January 2005, the congregation completed Phase 1 of a $5.5 million building expansion and modernization program called 21st Century including a state of the art Christian Life Center, a 250 seat chapel, a conference center, classrooms and an Operations Administration Center. In addition, the Church Fellowship/Social Hall was upgraded. The facilities are available for community and public use. Faith Tabernacle offers many weekday activities, and has made a significant commitment to local as well as global missions. By January 1998, “the Tabernacle” was emphasizing the tithe again. The loyalty of many members made it possible for the Church to pay off an existing lien related to the elevator installation, and remain debt free while increasing its savings and other investments. The Church used a portion of the money to pay $3.5 of the construction cost for 21st Century Faith. Dr. Jackson likes to emphasize the faithfulness of the congregation and generosity of supporters as favor from God in accomplishments of the Church. Words of the late Dr. Adam Clayton Powell, Sr., “Not a ticket or dish of ice cream was sold to pay for the ‘Faith Tabernacle Missionary Baptist Church’ vision. Every dollar of the money was brought in through tithes and offerings” are used and related by Dr. Jackson. Pastor Jackson is a preacher, teacher, evangelist, scholar and prophet called and chosen of the Lord. As “the Tabernacle” shepherd, Dr. Jackson has built on the legacies of his predecessors in serving “in season and out.” The Church is committed to the Gospel and message of social justice, a promoter of Christian values, and the inclusivity of all people in the kingdom of God. Faith Tabernacle continues to serve as a beacon light of a resurrected people in a renaissance city preaching and lifting up Christ. “The Tabernacle” is acclaimed as one of the more renowned churches in Connecticut. It remains in the vanguard for positive holistic change, and members follow the Christian edict to feed the hungry, clothe the naked, visit the sick, and care for the less fortunate.